The Nigeria Union of Petroleum and Natural Gas Workers (NUPENG), has attributed the ongoing scarcity of fuel across the country on a cabal in the downstream sector. The group said that tanker drivers were not on strike. NUPENG, in a release yesterday, said its members were not responsible for the present shortage of petroleum products being experienced nationwide. 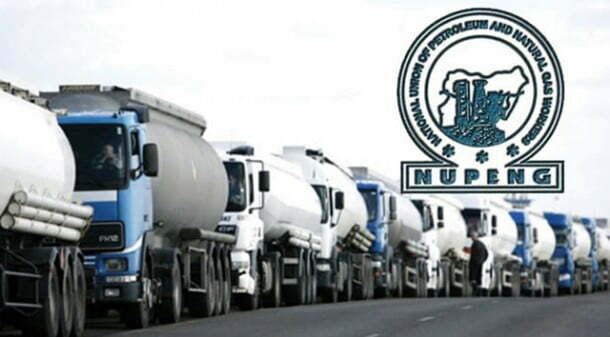 According to its president, Mr Igwe Achese, Petroleum Tanker Drivers (PTD) branch of NUPENG are working and lifting products to the nooks and crannies of the country. Achese said, “NUPENG is not responsible for the present shortage of petroleum products being experienced nationwide. The statement further blamed the policy makers of the country for not adhering to its calls for the urgent need to rehabilitate the nation’s four refineries to get them working optimally. NUPENG stated that the cabal in the downstream sector are at work sabotaging all efforts to make products available through revamping of the nation’s four refineries.